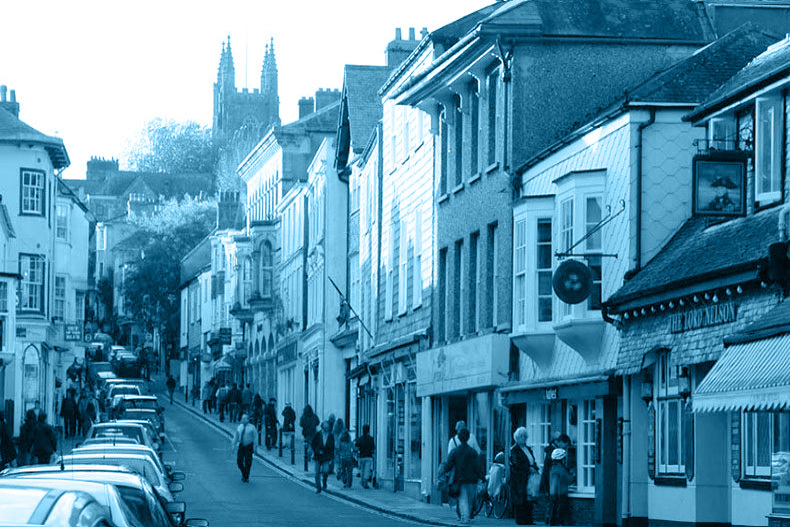 So… what do we know about Totnes? Mentioned in the Domesday Book; troops billeted there visited by Cromwell. Declared the capital of self-discovering, Goldman-quoting, solar-heating, donkey-rescuing chic by Time magazine in 2007. Twinned with Narnia. Apparently I misread the Wikipedia entry for Totnes. For ‘self-discovering, Goldman-quoting, solar-heating, donkey-rescuing’ read ‘new age’ (which must be receding into old age by now). Currently languishing third from bottom of the South West Peninsular Division 1 East League . Maybe of some use to Mr.Dreadnought ? The Devil visited Totnes in 1885, leaving his cloven hoof tracks in the snow, he didn’t put marshmallows up any nostrils, not even his own .. I wasn’t previously aware of “The Totts”, or Totnes & Dartington FC to give them their full title, so thanks for that Peter. I see their results haven’t been too good this season, but they are a very respectable eighth in the Division 1 East fair play table. My Dad wrote this book about the Totnes Monster: https://www.amazon.co.uk/d/Books/Totnes-Monster-Story-Great-Sperm-Rotting-Seamen/0992796628.